Your beach travel destination expert! Nantucket is known as a refined vacation destination. And getting more posh by the year. Located about 30 miles south of Cape Cod, Massachusetts, this island has the isolation that some are looking for. Be willing to splurge when you visit Nantucket. Room rates and dinner plates are quite pricey, but some of the most popular island activities can be experienced at reasonable prices. 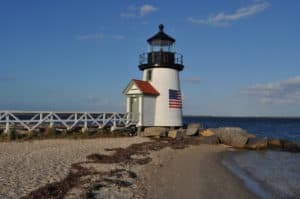 A visit to Nantucket is about riding through the cobblestone streets on your rental bike or lazing about on the shore with your favorite book in hand. So pack your swimsuit, and head to Nantucket. Continue reading our Nantucket Travel Guide and start planning! For a list of all the best East Coast beaches, click here. July and August are the hottest months, with an average high of 75°F. January is the coldest month, with an average high of 39°F. Nantucket is most popular between Memorial Day and Labor Day, but insiders prefer the shoulder season (April-June and September-November). September is ideal: the ocean is still warm, the restaurants are open, and there are fewer crowds. It’s also charming to visit in December, when the island is wrapped up like a Christmas tree in tinsel and white lights. Nantucket’s location makes it vulnerable to unexpected changes in weather patterns. Always bring a coat, and be aware that high winds—which are more common in the winter—can cause ferry cancellations, and fog sometimes prompts flight cancellations. This island is still old-fashioned in many ways—some establishments (as well as taxis) only accept cash. Surfside Beach, located on the southern shore, is one of the most popular beaches on the island. It’s definitely one of the most amenity-rich stretches of sand, too: Public rentals, showers, food kiosks and lifeguards are all here in the peak beach season. 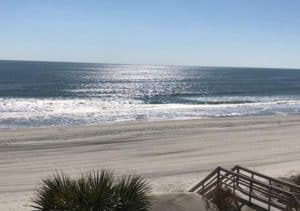 And although the waves may be too choppy for younger travelers, Surfside is great for catching a wave and participating in other gnarly water sports. This is the busiest beach on Nantucket. Nantucket’s iconic Brant Point Light is said to be the country’s second oldest lighthouse by some aficionados. While this superlative isn’t completely true — the current tower dates to 1901, while the station has had a lighthouse since 1746 — the attraction remains a popular spot to view Nantucket Town’s harbor. You can’t go inside Brant Point — it’s still an active post used by the U.S. Coast Guard — but there’s still a lot to see here. The beach is a picturesque place to take a breather and watch the boats float by the harbor. Located at the northern point of Nantucket, the Coskata-Coatue Wildlife Refuge provides protected habitat for hundreds of osprey and other rare sea birds. Other popular activities include surf-fishing, hiking and checking out the Great Point Light, but according to recent visitors, off-roading along the shoreline is probably the most popular activity on the refuge. Northern Jetties is pretty similar to its southern, sandy counterpart, Surfside. Both bustle with activity in the summer and are loaded with beachside perks like food carts and public bathrooms. Because of its location on Nantucket Sound, Jetties’ waves are much calmer than those found at Surfside, making it a better place for younger or less-experienced swimmers. Jetties also has a boardwalk lined with casual eateries, keeping visitors from going hungry on an all-day beach trip. 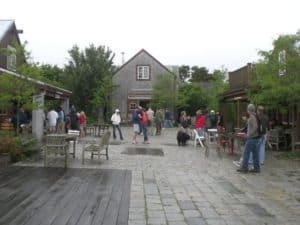 The island’s local beer maker and distillery—and the country’s first outdoor brewery—plays host to a crossroads of islanders, and their dogs, in a laid-back, picnic-tabled setting with live music, a tented raw bar, corn hole, and play areas for kids. There’s a variety of Cisco beer on tap, including Island Reserve, a double IPA available only on island, as well as cocktails made with vodka, whiskey, rum, and gin from the adjacent Triple Eight Distillery (you can also buy a refillable growler for brews-to-go). Catch the free shuttle from in town or drive or bike yourself there. The Endeavor has been offering sailing excursions in Nantucket Sound for 30 years. Voted by Yankee Magazine as “Best in New England”, the Endeavor operates from May-October. Telephone: 508-228-5585 Web: Endeavor Sailing Excursions. Expect secluded beaches, magnificent sunsets, and massages so good you’ll spend the last 15 minutes obsessing over how to fit in another. On the quiet northern side of the island, the resort caters to a more refined weekend away: private cottages, fewer crazy crowds (virtually no crazy co-eds), top notch dining with a practically clairvoyant sommelier, sunsets by the fire pit, bikes to borrow, and a complimentary water taxi to check in on the throngs downtown, if you feel you must. For more information, pricing or to reserve your room visit The Wauwinet. The village offers rooms in the modern main inn as well as two- and three-bedroom residences featuring all the comforts of home. But the real showpiece is the swimming pool and cabanas, where the hotel has thought of everything: complimentary magazines and books, sunglass cleaner, SPFs of all scents and numbers, and mimosas all day long. 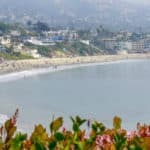 There are also BMW courtesy cars for in-town drop-off, complimentary bicycles to use for the beach or for a trip to town, and a lobby display of complimentary snacks and drinks, like cheese, pastries, cookies, coffee and tea, and fresh fruit water. For more information, pricing, or to reserve your room visit the White Elephant Village. Offering hotel rooms, 1-4 bedroom suites and cottages, many with kitchenettes and some offering ocean and harbor views. 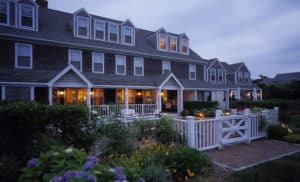 Complimentary children’s program, concierge services, two heated pools, outdoor hot tub, hotel health club with expansive gym and classes, yoga, WiFi, shuttles to ferries and beaches, optional massage services and day and overnight trips to their sister resort on Martha’s Vineyard. For more information, pricing, or to reserve your room visit The Nantucket Hotel & Resort. 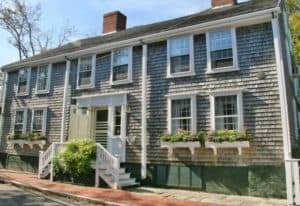 This charming, elegant B&B fits in nicely with the Nantucket atmosphere, and is the only inn on the island to provide a full, hot breakfast (thanks to its commercial kitchen). The lovely rooms don’t come cheap, but then again, nothing on Nantucket does. And the fact that downtown is a mere three-minute walk may make it worth the price for some. For more information, pricing, or to reserve your room visit the Union Street Inn. Experience the comfortably refined sophistication of this intimately sized and design-driven boutique hotel. This newly renovated Nantucket hotel is a block from the heart of town and an six-minute walk to the harbor. Visit and discover an impeccably designed Nantucket boutique hotel offering exceptional rooms and amenities; the ultimate relaxing “Nantucket getaway” courtyard; an all-day coffee cafe; the latest tech amenities; and exceptional service. For more information, pricing, or to reserve your room visit 76 Main. Heading to the Nantucket beaches? Get all your beach gear here. I believe I should extend my long weekend to a week. Because now I found out that Nantucket which is wowza, is only 30 miles south of Cape Cod. So would it be better to start in Nantucket and continue to Cape Cod or the other way around?Also, do you maybe know if there’s a biking trail I could take to get from Nantucket to Cape Cod, avoiding main roads? Wow, sounds like a wonderful vacation. I don’t think it matters Katya where you start out first. I think the determining factor for me would be, where do I want to spend most of my time? Then I would make that my last destination. But, since you do have to take a ferry to Nantucket, then you will have to start in Cape Cod, take the ferry to Nantucket, and back again. There is no bike path :D, just water. If you rent a bike in Cape Cod, then you could take it on the ferry to Nantucket. You are so welcome Tony, and yes beautiful beaches yet must quieter and serene. You and your family will love it. Thanks for visiting! This is nothing shirt of amazing! I mean ever since I saw the movie; ‘ In the heart of the sea’, starring Chris Hemsworth, and the ‘Greatest Showman’ Starring Hugh Jackman, and heard about the Nantucket for the first and second times, I knew I had to include it to my travel list. And I would like mostly to visit the Brand point lighthouse, the fact that the best time to visit is July – August makes it a wonderful summer experience. Cheers. 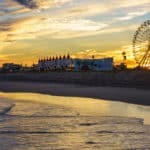 This is an incredible post; I have never been to the east coast before and thats the more reason why i appreciate this article. I have always dreamt of a place like nantucket, i have also been hearing about white elephant village and i wish to visit someday. my family and I will visit anytime soon and lodge in one of those lovely and beautiful hotel. You are very welcome, glad you enjoyed! Thanks for this inspirational article! I didn’t even know Nantucket was a real place until I happened upon your website. I thought is was some made up town in folklore. ha ha! It’s great to see that it really exists and it looks exactly as it is supposed to in my mind. It’s charming and beautiful and magical. I’d love to visit it someday. Thanks for sharing! You are so welcome Stone. Glad I could help you learn something new about a great little beach community in the East. Thanks for visiting my Nantucket Travel Guide! I’m in constant search for isolated travel destination, when one can have a peaceful vacation. Nantucket looks like an ideal place for me. The bar at galley beach seems like a place to relax with a drink. This place is definitely on my bucket list. Great Demi, glad you found another great vacation spot. Thanks for visiting beach travel destinations. Thank you for this excellent guide! You are very welcome Daniella. The White Elephant village is great for families too, so I know they will all enjoy. Thanks for visiting my Nantucket Travel Guide! Your post is great. 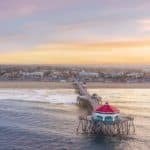 I live in Mass, and me and my family are always looking for vacation spots for the summer without having to fly anywhere. I never realized Nantucket was such a great place for vacationing. Some of the hotels you feature here look very cozy, I will have to check them out. Thanks for sharing this information, i’m sure my kids will love it. I know my kids absolutely love the beach, so your family with have a great time in Nantucket as well. Please let me know if you have any questions. Great information. I need a vacation, and have been looking at the East Coast. I know I can fly into Boston. Then now do I get to Nantucket from there? And out of the hotels you have listed, which one would be the very best pick for you? Great Roman! You will love Nantucket. You will take the ferry from Hyannis to Nantucket which takes about an hour. My top pick for hotel is the 76 Main. I like the small size and the amenities. Please let me know if you have any further questions. What a travel guide! And what a place Nantucket seems…. All these pictures have put me in holiday mode, shame I cannot go until April. The northeast is someplace I have not been. You have given me a lot to think about as we have not planed our summer trip yet. The six states up in this area is all that I have left on my bucket list. I like the look of the clean beaches and the fact that the seafood is so fresh. This area is a little pricey, everything is around the Boston area. I wish Chris was not in school, I have to wait for summer vacation. About how far is this from a major airport, like Boston or New York. Wow! I loved reading this! Traveling is something that’s on my all time list of goals and dreams. And reading about things to do in Nantucket was very inspiring. Thank you so much for a great read! Thank you Randi for stopping by and visiting my Nantucket Travel Guide. Come back when you are ready to plan! Nantucket is my kind of town! 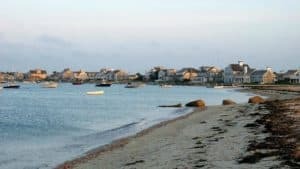 I live in a small town in the north, and this probably is similar to it (except of course, Nantucket is surrounded by water, mine is surrounded by mountains). I love the light house and the beer!! I would like to go there sometime, thanks for sharing this review. You bet Hanna! When you are ready to plan, just head back! All my hotel choices are the best 🙂 Thank you for visiting beach travel destinations. Thanks for visiting Ann! I am glad you enjoyed my Nantucket Travel Guide. This was great. Being a Massachusetts resident, only I live on the other end of the state. I have not been to Nantucket in a few years. The Shore of Cape Cod and New England are underrated. You will find some of the most beautiful and historic locations in New England. Usually, when people talk about the beaches and the oceans in the United States. They think California, Florida, or New Jersey. Cape Cod has some of the cleanest beaches in the states. Although the access at times may be a challenge for some. Once you are there, the memories will be unforgettable. Thank You for the post and the great video. You are right Ken! I agree completely. I just did a morning walk along the Tampa Bay this morning and I could not believe all the trash. Made me wish I had a bag with me to do a little clean up as I walked. Kind of sad really. Glad you enjoyed my Nantucket Travel Guide! 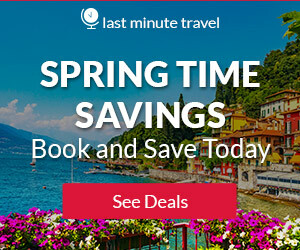 Travel to the Best Cities with Lonely Planet City Guides!